CUFF has been long time fans of the Found Footage Festival, having brought them three years in a row, and is proud to be hosting them for the first time as part of the film festival! The acclaimed touring showcase of odd, hilarious found videos and live comedy will make its triumphant return to Calgary, kicking off their latest world tour and brand new lineup! The Found Footage Festival is a one-of-a-kind event showcasing videos found at garage sales, thrift stores, warehouses and dumpsters throughout the country. Curators Joe Pickett and Nick Prueher, whose credits include The Onion, The Colbert Report and The Late Show with David Letterman, host each screening in-person and provide their unique observations and commentary on these found video obscurities. From the curiously-produced industrial training video to the forsaken home movie donated to Goodwill, the Found Footage Festival resurrects these forgotten treasures and serves them up in a lively celebration of all things found. 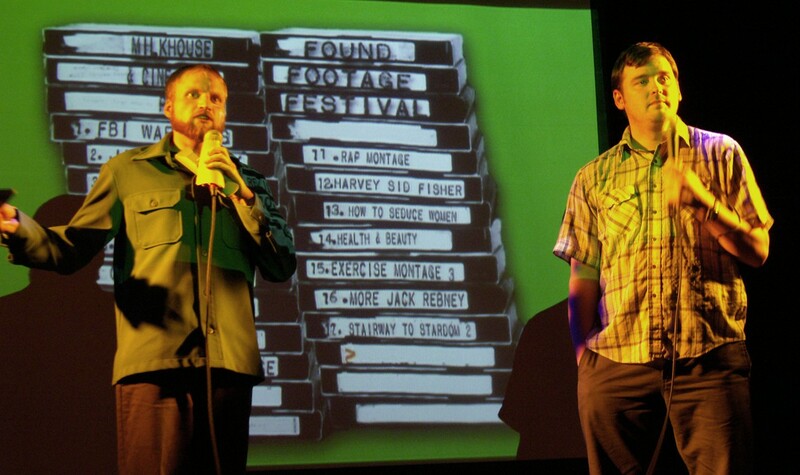 Since the first tour in 2004, the Found Footage Festival has gone on to sell out hundreds of shows across the U.S., Canada, and the U.K., including the HBO Comedy Festival at Caesars Palace in Las Vegas and the Just For Laughs Festival in Montreal. The festival has been featured on National Public Radio, Jimmy Kimmel Live, and G4 TV’sAttack Of The Show, and has been named a critic’s pick in dozens of publications, including The Village Voice, Los Angeles Times, San Francisco Chronicle,The Stranger, and The Chicago Tribune. $12 CUFF Members, Students & Seniors. Discounted tickets available at Frosst Books.